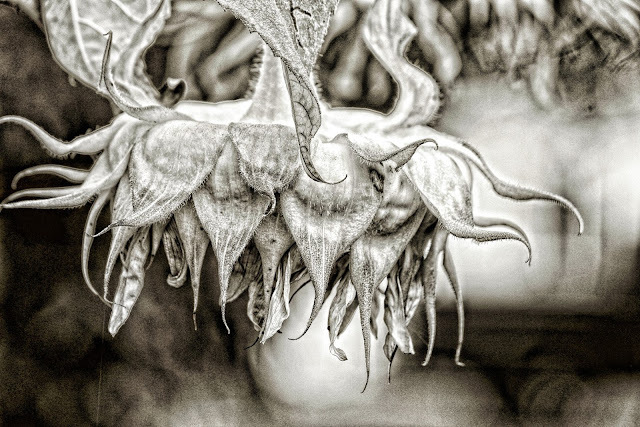 Beautiful details on the sunflowers. 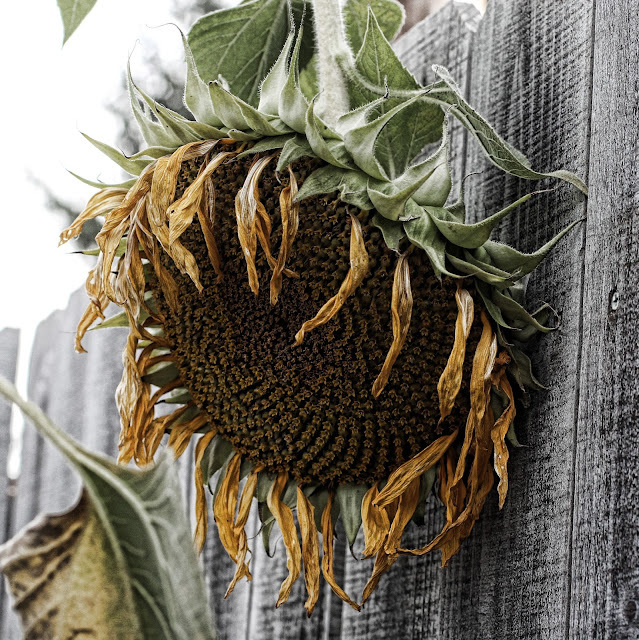 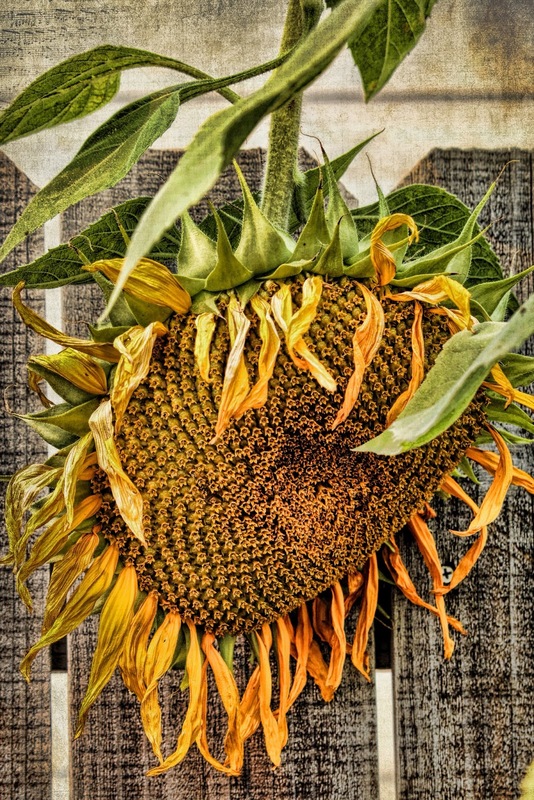 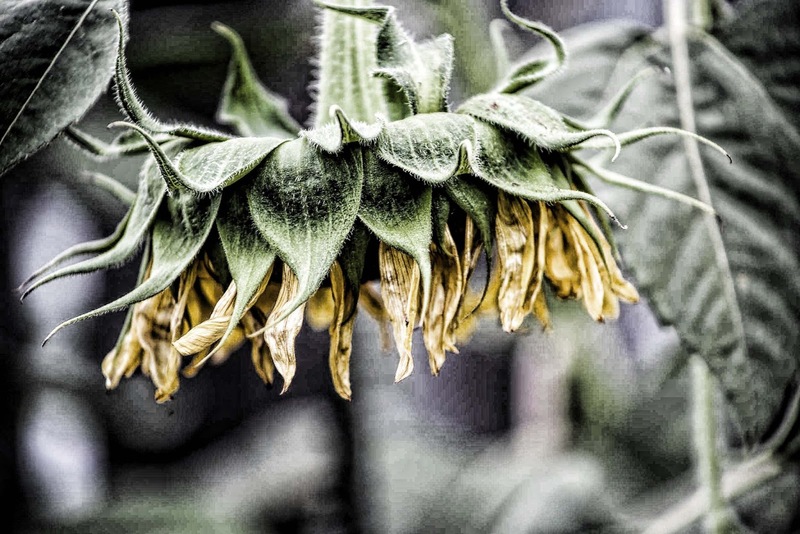 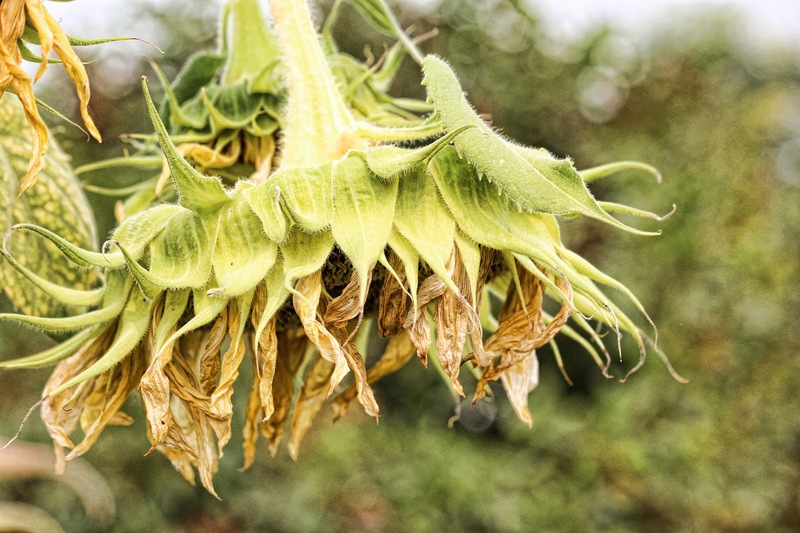 Sunflowers are always so beautiful from first bloom until the end of their life cycle. 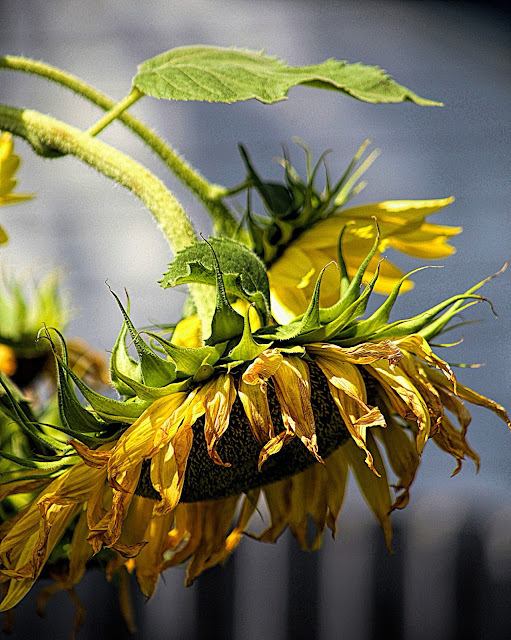 These shots are just as beautiful, in their own way, as those of sunflowers in their prime. Great textures, I guess. This series of photographs is really beautiful. 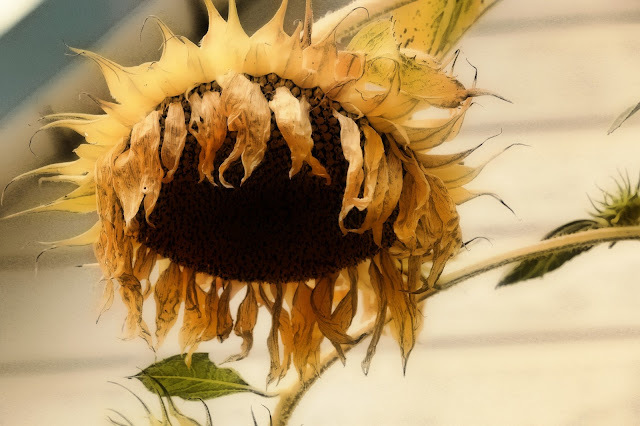 Our sunflowers are still going strong, but I am guessing probably not much longer, as the leaves are changinh and falling very quickly all of a sudden.